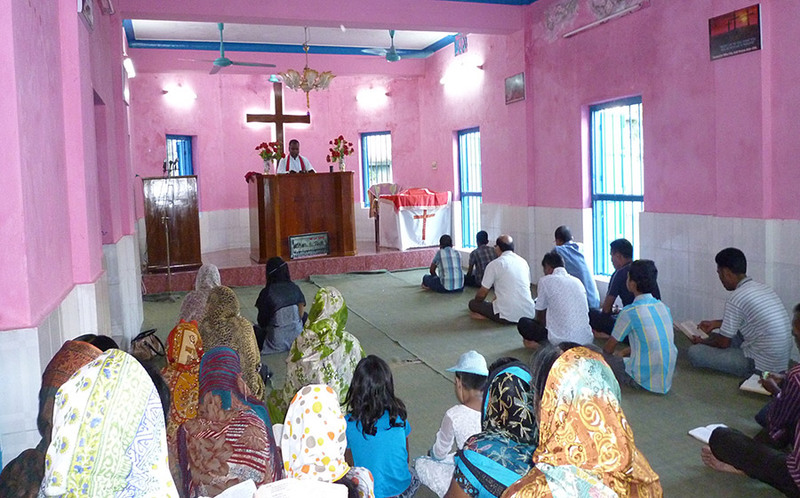 Bangladesh Baptist Church Sangha (BBCS), local evangelical church association. The ‚Bangladesh Baptist Church Sangha‘ (BBCS) became the Bangladesh partner church of the Liebenzell Mission in 1974. Its roots date back to Dr. William Carey who, in 1793, started work in the region of what is now Bangladesh. The ‚Baptist Missionary Society‘ (BMS) in England has continued to support the association since this period. With its 359 parishes and ca. 38 000 worshipers the association is one of the biggest churches in Bangladesh. Over 5 000 children aged 5 to 15 attend the weekly children’s and youth group sessions offered by the association. The roughly 250 Sunday school helpers who lead these sessions attend preparatory courses to prepare them for this important work. The Liebenzell Mission provides an annual financial contribution to support training courses, as well as the children’s activity weeks and the provision of materials. The church is divided into ten church districts served by 100 pastors. Joyanta Adhikari was appointed President of the BCS in July 2006, and Rev. Ashim Baroy currently holds the position of General Secretary. The SHED Board (‚Social Health & Education Development Board‘) is the registered social work branch of ‚Bangladesh Baptist Church Sangha‘ (BBCS). The community development projects in Mallikbari and Shantikutir are amongst some of the projects run by SHED. Through SHED, the Liebenzell Mission provides financial support to a children’s village in Khulna, where there are currently 60 boys, and to a village in Rangamati which accommodates …… boys from the hill tribes. In addition, Liebenzell Mission Bangladesh and SHED both operate the Carey Memorial School in Dinajpur which accommodates 450 children from nursery school age up to grade 10. The Liebenzell Mission also provides aid during disasters by supporting the aid programs offered by SHED. Further information is available at http://shedboard.org. In cooperation with the relief organization ‚International Needs‘, 60 boys and girls are cared for and educated in Savar with the aid provided by the Liebenzell Mission. 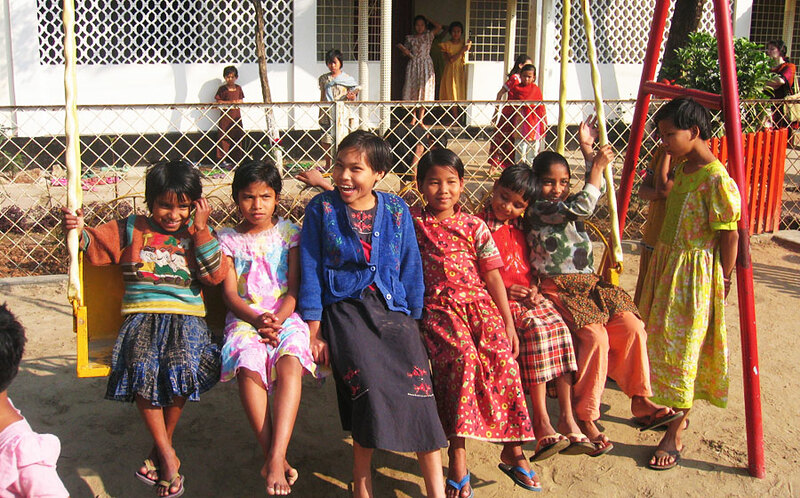 This children’s village was founded in 1986 by ‚International Needs‘. A total of 300 orphans and children from very poor families live here. Primary school education is provided. For their further education the children attend local state schools. A training center offering training in practical skills is also available on the village compound. The aid we provide for the children at the village enables them to complete both their schooling and a professional training. Our workers in the area regularly visit the village to check on the proper care of the children. 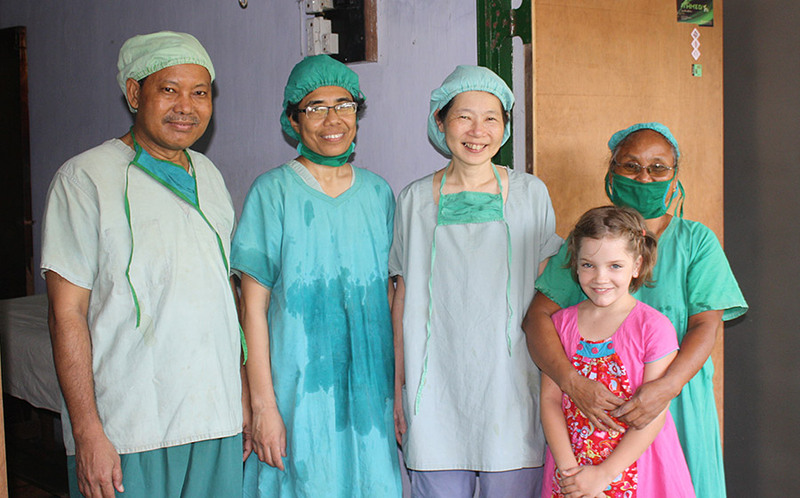 Dr. Megumi Kondo has been working at the ‚Joyramkura Christian Hospital‘ since the end of December 2010. This hospital, near Mymensingh in northern Bangladesh, provides 100 beds and registers many births. Dr. Megumi Kondo on the surgery ward in endoscopic surgery, and also as a general practitioner where required. 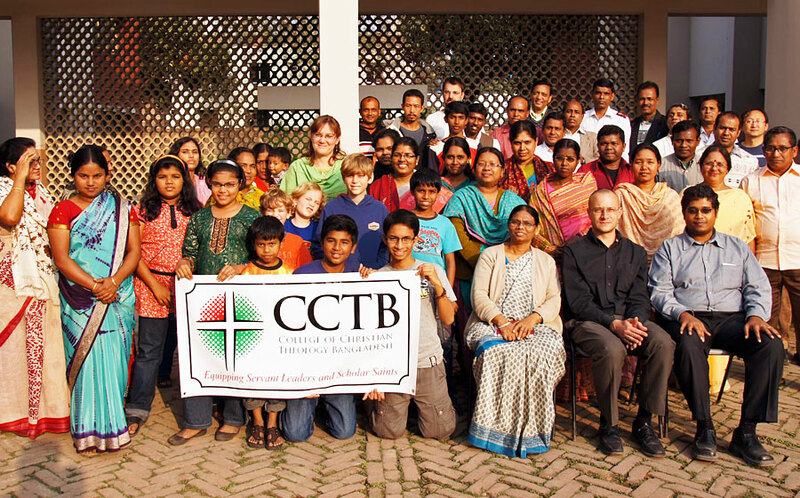 Founded in 1968, the College of Christian Theology (CCTB) in Dhaka offers both classroom courses as well as distance learning courses. Academically oriented Bachelor’s and Master’s degrees may be taken here and the students can live on campus. The CCTB also plays a key role in out-of-school theological training. It offers regular training courses for mentors and compiles training material. Two-week intensive courses are offered locally or at the college itself. This give students the opportunity to complete a course in just a couple of weeks that would normally take three months.